A published report is casting new doubt on the proposed merger of Sprint and T-Mobile, a union that already faces opposition from some consumer groups and lawmakers. The Wall Street Journal cites “people familiar with the matter” as saying the two telecom providers have been told by Justice Department staff that the merger is not likely to be approved as currently structured. None of the parties involved -- T-Mobile, Sprint, and the Justice Department -- have responded to media requests for comment. The Justice Department’s antitrust division is examining the proposed $26 billion deal to determine if it would negatively affect competition in the industry. The merger would reduce the number of major carriers from four to three. That, consumer advocates say, would lead to higher costs, especially since both T-Mobile and Sprint tend to serve lower-income customers than AT&T and Verizon. According to The Journal, Justice Department staff met with representatives of both companies in early April and expressed their concerns about the deal. They also reportedly challenged the companies’ arguments that the merger would make both entities stronger and lower costs. Sprint and T-Mobile have steadfastly maintained that the merger is important to their ability to compete with their larger rivals when it comes to deploying a 5G network, which is more expensive than current 4G network technology. 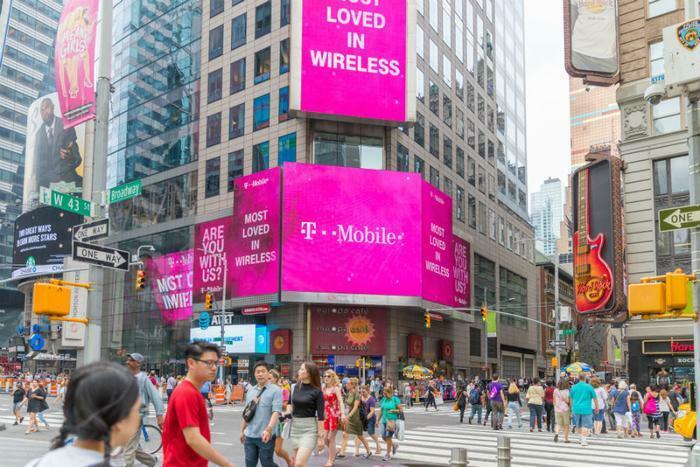 In a blog post last month, T-Mobile CEO John Legere made a case for the merger, saying it would enable the creation of what he termed a “spectacular” 5G network that would allow for wireless high-speed internet service in underserved areas. Legere said consumers using the planned T-Mobile-Sprint home internet service would get speeds of 100 Mbps and higher. The system would be so simple, he wrote, that consumers would be able to install it themselves. Legere also said 5G networks will give large wired ISPs more competition than they’ve ever had before, which he predicted would lower prices for internet service. Legere has not said what 5G service would cost but has said on occasion that it would be less than what consumers are now paying for a wired connection. In addition to reported opposition from the Justice Department, several Democratic lawmakers have spoken out against it. “T-Mobile and Sprint have led the way in offering wireless products and service options that are more appealing to lower-income consumers, including no contract plans, prepaid and no credit check plans, and unlimited, text, voice, and data plans,” eight senators said in a statement 11 months ago. In August, the Communications Workers of America (CWA) -- a union that represents 700,000 workers -- formally opposed the merger, arguing that over 28,000 jobs would be lost if the two companies are combined.